The dark arts of cabling is notorious for causing outright war among audiophiles of all shapes and sizes. It is the one area in this hobby of ours that will just run and run in terms of will it or wont it make a difference to the audible quality of your existing or new system setup. Most argue based on price to performance ratio, others put forward the question of how data signal rather than analog signal can be improved with it is just a string of zeros and ones, and some just simply say that cannot hear a single bit of difference. 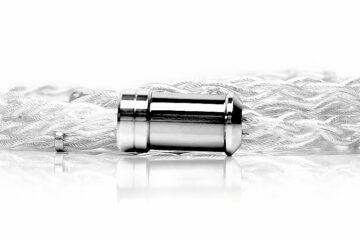 We argue over copper versus silver, purity and performance, signal and connectivity – you name it and I will point you to a forum right now that has a contentious cable discussion thread. Will it go on forever? Does the Pope say mass? Does Ted Cruz have issues? In short you betcha it will continue because ultimately cables are big business because we all need them. As for my personal viewpoint? I am kind of pragmatic on the cable issue to be honest. The most I dished out in my analog days was on about 20 meters of QED Silver anniversary for my old B&W 6 series 2 5.1 system replacing my old biwired copper stock cables and the purity was upped a few notches and the separation and imaging was sublime. I am therefore a believer in cables making a difference but the QED Silver Anniversary is not the most expensive in the world and they lasted for me for 10 years until I sold the system and went into headphones and the world of 2.1 (that is a whole other story). It was however the best for me at what I could afford and if truth be told we all do want great cables but our cynical attitude is primarily driven by that price to performance ratio. Others richer than me must and will have the best just because in their minds ‘the best’ means they will have no more questions regarding the “what if”. So now in the realms of personal audio and 2.1 my analog cables are pretty good for me with numerous upgrades and including some nice hospital grade power cables with a healthy array of AVR and suppression (If you live where I live you know that AVR is critical). Yet still I am working with my Monster u-link 500 2.0 cable with 24k gold plated connectors I bought about 2 years ago into my primary Rein Audio X3 DAC. Last I checked its about $30 somewhere on Amazon and likely to be discontinued now. 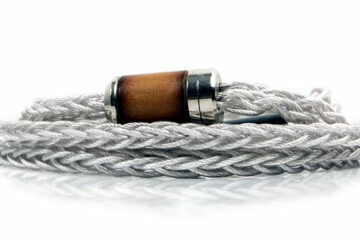 So when Kingrex of Taiwan said try the u-craft (Y) USB cable I was thinking do I really want to go down this route? This last unknown walk, this potential vat of snake oil? Curiosity got the better of me and two weeks later the cable is on my doorstep in a fancy box and it actually does look like a snake. I kind of chuckled at the semantics I what I was looking at. I was wondering if you had any issues with the computer not being able to recognise the dac when using just the data leg in the pc and power leg in the uPower? Because I’m looking to pick this cable, but am unsure if it will work with the XMOS based Berkley Alpha usb – spdif converter which requires the usb vbus power to operate. Hiya sorry for late reply and to be honest I couldnt comment on the specifics of the XMOS Berkley Alpha having not used it but what I can say is the power and data are separate only to the filter box in the middle of the cable and then its a merged single cable to the DAC so in that respect I would assume the filter recombines both to properly power DAC’s. I use the KingRex uArt usb cable with an Auralic Vega dac. 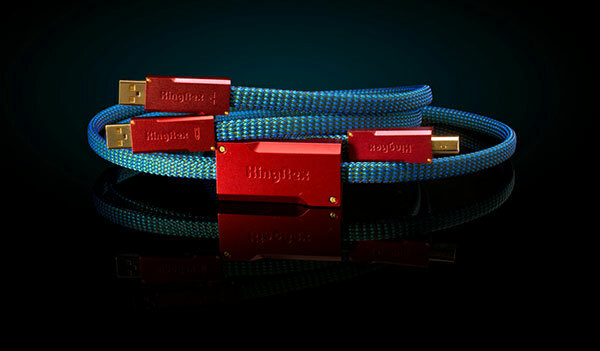 Sounded significantly different than the Gemini cable, and I preferred the difference– darker and smoother, perhaps a small dampening of treble detail which, with the Vega’s microscopic lens on music, was actually a relief to me. Are you using the uPower or just a usb 5v source?